In order to help promote tourism in our parish we are starting an online contest to help spread the word about the wonderful places, food and things to see that we have here in Assumption Parish! 3) tag a friend to play along. 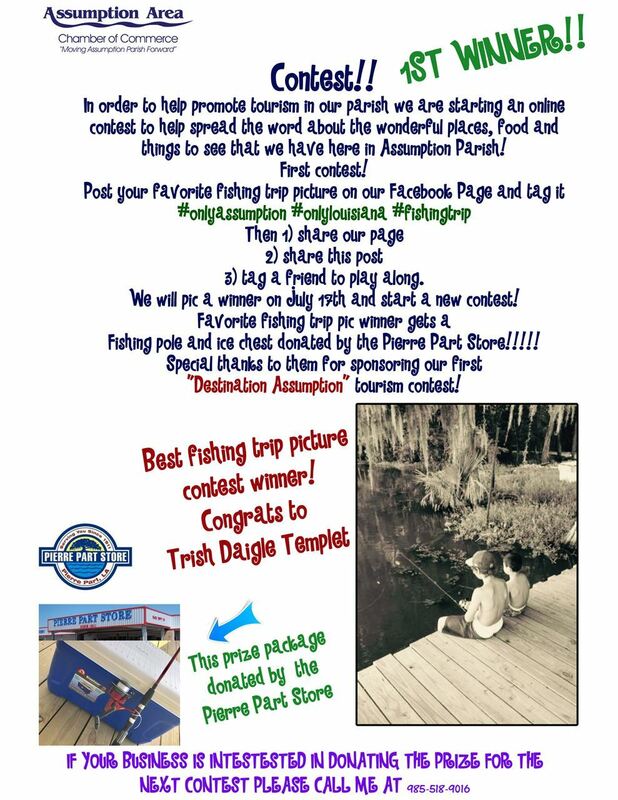 We will pic a winner on Aug. 21st and start a new contest! Special thanks to them for sponsoring our 2nd "Destination Assumption" tourism contest! And I will start it off with my fav wildlife animal pic! I took this pic years ago while on one of my first duck hunting trips! All the winners selected will be posted here! Thanks for playing along with Destination Assumption!